Palm has a long way to go to hit the 5,000 apps available for the G1 (many of them designed for very specific purposes) and the 50,000 apps for the iPhone. So it's early days yet for the Palm Pre, but here is a round-up of the best Palm Pre apps currently available. Citysearch is one of the best apps that takes advantage of the built-in GOS capability. It finds your location automatically and then recommends nearby restaurants, cafes, and movie theatres. There are also listings for banks, shopping centers, and hotels – all with user ratings and an address. You can click an Options button to see a map of the location, write your own review, share the link, or visit the web site for the destination. 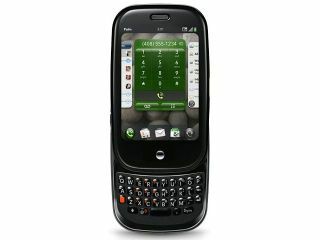 The Classic app on the Palm Pre is – curiously – not something that Palm created. It was developed by MotionApps, and the main claim to fame here is that Palm OS apps run about twice as fast as they do on older models, such as the Palm Treo. You can use your finger to control the apps as well, although none of them are designed for the Pre and are not able to connect to other apps or run on their own card. EA's one and only game so far for the Palm Pre is the classic game Connect 4. You can play solo against an AI opponent (with several difficult settings) or in multiplayer against other Pre users. Unfortunately, the game is exactly the same in every way as the real-life version. As such, it presents a good challenge but has little long-term appeal compared to the more complicated, gameplay-rich offerings on the iPhone. With ExpressStocks, you can see a quick thumbnail digest of any stock you want, adding as many as you want to the main screen, viewing overall market fluctuations, reading up on the latest financial news, and checking for those companies that have gained or lost the most shares. The app doesn't include the lengthy commentary found at Google Finance or the wealth of graphical data for helping you decide if you want to buy a stock. This movie-search app operates almost exactly like the popular web site, yet it taps into the GPS location service on the Pre. You can view which movies are playing in the theatre and then search by proximity to see show times. There are simple fan ratings, but not the aggregated content from Rotten Tomatoes and sites of that ilk that show you all of the recent reviews from major critics. Sometimes, the only information you need on your smartphone is the when and the where. FlightView helps you find a specific flight and whether it is on time, which helps you with your own travel or if you are picking up someone from the airport. This free app from Intuit works with the GoPayment system, that costs about $20 per month plus transaction fees. It is designed to help mobile users collect a payment with their phone. Intuit also offers two different kinds of Bluetooth card readers you can carry along with you. Almost exactly like Citysearch with a more social networking theme, LikeMe presents options for where to eat and what to do. As expected, LinkedIn offers a client to keep track of your business associates. Unfortunately, unlike the Facebook and Gmail contacts list, your LinkedIn contacts are not integrated into the phone, so this is purely a replacement for the mobile version of LinkedIn.com. Released just last week, the MissingSync utility is meant to sync up your contacts, tasks, notes, and other organizational data with your PC or Mac.